← World Refugee Day: What do our categories leave out? (by Theo Dombrowski) The statistics are horrifying. Every minute, a child dies from malaria. In 2013, 90% of the world’s malaria deaths occurred in Africa and over 430,000 African children died before their fifth birthdays. In 2013, there were about 198 million malaria cases (with an uncertainty range of 124 million to 283 million) and an estimated 584 000 malaria deaths (with an uncertainty range of 367 000 to 755 000). According to yet further statistics, this horrifying number is not as bad as it was just a few years earlier. Why the improvement? Mostly, it seems, from two causes: increased availability and use of both insecticides and mosquito nets over sleeping areas. Medical research still has not led to a vaccination. The research and experiences of IB graduate Dr. Miles Davenport provide excellent insight into the methods currently being employed in the biological sciences to combat this huge health issue faced principally by the world’s poor. Two aspects of current malaria research are most helpful to bring to a TOK class. The first concerns those elements absolutely basic to gaining scientific knowledge–making observations, collecting data, making assumptions, and formulating hypotheses. The second, Dr. Davenport’s specialty, is less obviously fundamental–applying mathematics. First, what questions and what methods? First, then, the basics. A good way of engaging students in this first aspect, may well be to ask them several questions, the very questions that many malaria researchers have asked. There is a bit of a trick here. The questions may appear a little leading, since this part of the process is most illuminating if students give the same answers–the same reasonable answers, importantly–as malaria researchers generally give. What you, as teacher, know in advance, however, is that, according to Dr. Davenport, most of these answers could well be wrong, or, at least, oversimplified. Part of the point of asking these questions, therefore, is not just to point out the roles played by observation, data collection, and hypotheses, but to show how easily reasonable scientists can well be led astray. 1. Many of us may know that the very first vaccines (against small pox) were developed because of the well-known phenomenon that milkmaids seemed largely immune to small pox. (It turned out that this was because they had developed a natural immunity from exposure to cow pox, a closely related but less dangerous pox than small pox.) 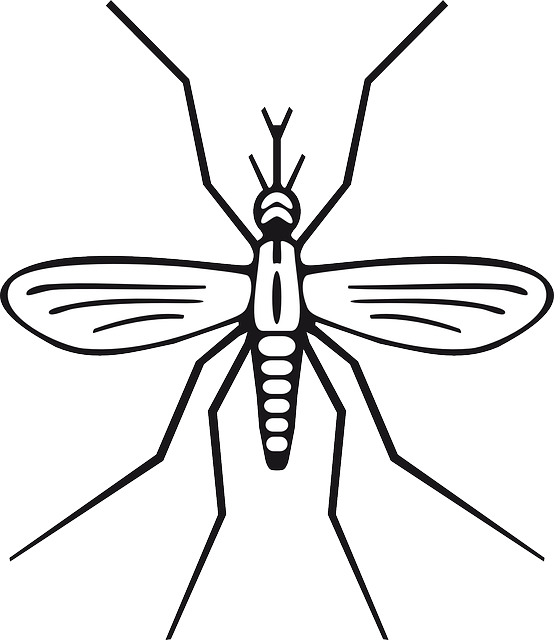 Question: If you were looking to develop a vaccine against malaria what population group might you first examine? The obvious answer, of course, is you would look in a group with natural resistance. What, though, is the premise (arguably there is more than one) that lies behind such an answer? 2. For this question, students need to know that even in areas of high incidence of malaria, many recover from infections. Question: If, therefore, you went into a rural village in a high malaria area, and were able to spend considerable time there, how would you identify a group who seemed to have natural immunity? The slightly less obvious answer–but one that could easily be teased out–is that you are likely to identify two apparently resistant types: 1. those who don’t seem to catch the disease even after considerable time 2. those, who having the disease, don’t seem to develop severe symptoms. The roles played by observation, data collection, and, again, hypothesis are clear here. 3. Question: Would one of these groups seem to you more likely than the other to have natural immunity? Given the fact that you have limited resources (and again, this is actually the case with research groups) where would you invest your research money–on those who seem resistant to catching the disease in the first place or those who don’t develop severe symptoms? Here there is no clear “correct” answer. Reasonable hypotheses could be made about both groups. Though students might argue for one group more than the other, the fact is that researchers have been looking in both groups–as you can point out to the students. 4. Question: Since children generally suffer more severely than adults when they are infected, would you target children in your research or merely include them in your study? Either answer, arguably, is reasonable. Though you might find the question becomes too complex to introduce, you may note that those who would argue for examining children first are actually introducing something akin to a utilitarian ethic. Second, how does mathematics help to examine the methods? At this point, we shift to the second main aspect of this problem–enter mathematics! One of those working to penetrate the complex biology that could lead to a vaccine is IB graduate Dr. Miles Davenport. A Professor at the University of New South Wales in Australia and head of the “Complex Systems in Biology Group”, Dr. Davenport is using as a primary weapon not what most would expect: he is using mathematics. As lead author in a newly published paper, Dr. Davenport and his research team serve as an excellent example for a TOK class of current research employing mathematical analysis to advance research in the battle against the devastations of malaria. Keeping in mind his own experiences as an IB student, Dr. Davenport has suggested a class activity in which current students can sample some of the ways in which critical thinking and the principles of mathematics can be applied to malaria research (and, in fact, other epidemics like HIV/AIDS and possibly ebola). The student activity to echo some of his own team’s research methods starts with a chess board and a hand full of rice (or similar bits and pieces). Step One: The process is deceptively simple. Drop the rice grains loosely onto a chess board and see where they land, says Dr. Davenport. Then apply a simple mathematical method. Draw a graph, he says, recording distribution. Count squares with 0, 1, 2, 3 etc. grains of rice on them. On the horizontal axis enter the number grains of rice in each square. On the vertical axis enter the number of squares. The graph, of course, will show what happens when the patterns of random distribution are at work. Step Two: Look at a standard graph of random distribution–in other words, a “bell curve”. An example can be see at this website. Step Three: Compare the 2 graphs. What should most leap off the page is that the graphs bear a striking similarity. Now, what you need to tell students is that if they were to look at a graph of the rates of infection (remember the discussion of a group likely to have natural resistance? ), they would see that it, too, looks almost exactly like a graph of randomness. Is this enough to strike a chill into the heart of any malaria researcher? Possibly. Does this suggest that attempts to decode the biology at play in individuals with “natural resistance” are based on entirely false premises? Is there no pattern after all? Possibly. Have researchers thus reached a dead end? Is there no such thing as natural immunity ? Is all apparent immunity merely the result of chance? In spite of the parallel between random patterns and patterns of infection, quite possibly not. In fact, it seems, there is considerable hope that such a phenomenon as natural immunity to malaria actually does exist. And, at this point, we need to consider another problematic issue with most current research. As Dr. Davenport argues, most current researchers who use time to infection as the sole method for selecting the immune group are almost certainly misguided. Thus this new paper is a warning to those researchers pouring resources into malaria prevention by focusing on those who seem resistant to becoming infected that they may well be fundamentally wrong in their approach. Other approaches are needed. At this point, then, having been jolted to a position of reconsidering premises by means of mathematics, we return to first of the two main aspects being looked at here, the fundamental elements of the scientific method. In TOK terms, we might rephrase to say that the methodology is flawed, giving insufficient justification for the conclusions reached. We cannot accept conclusions in the sciences unless we can trust the methodology that produced them. The conclusions could be wrong. BUT…they might still be right. We just don’t have enough evidence to decide whether they are wrong or right when major flaws emerge in the methods of gaining evidence. The full paper goes into details in making recommendations on the most likely methods of finding resistant individuals–and improving methodologies. Amongst other things, the paper analyses the need to work on more refined instruments than are often employed to measure the point at which patients are actually infected rather than, as is currently the case, the point at which they produce easily observable symptoms. Malaria is, after all, as the paper shows, a complex disease–and different levels of resistance or immunity can occur at various stages in the process of the parasite’s development. Again, he is arguing that many researchers are using shaky premises, making shaky observations–and thus collecting equally shaky data. In the end, the scrupulously close study of data leads Dr. Davenport and his team to conclude that it is only by using a particular method of detection of infection (described in the paper) and only by applying it to a group within a 1. narrow age group and 2. within the same geographical area that researches can legitimately expect to find individuals with natural immunity. And remember question 4? While conceding that it is children who are most vulnerable to the disease and suffer most, he points out that it is only in adults that real natural immunity might effectively be detected. Dr. Davenport suggests that confronting some of the problems that researchers face in important contemporary research encourages students to recognize that critical thinking is not always obvious or easy. The example of malaria research to which he introduces us demonstrates some of the challenges to overcome in finding patterns that can lead to understanding cause. He and his group have used mathematics to analyze the methods of analysis commonly used in malaria research, in order to get researchers to recognize problems broadly overlooked. An important contribution to advance in science is critique of the methodology itself. If researchers recognize problems and work to eliminate them, they can direct their own resources more effectively. We can all hope that they close in sooner on what they — and we! – all want: a prevention or cure for malaria. What does this example suggest about the importance of finding causality in the natural sciences, and the role of reason in identifying causality? This is not a joke! We may not even begin to understand this particular mathematical formula, but we can all appreciate how mathematics is being used in a rigorous and powerful manner! mosquito image, from Pixabay, Creative Commons. chess board, “Creative Magic”, Pixabay, Creative Commons. This entry was posted in IB Theory of Knowledge and tagged analysis, cause, confirmation bias, critical thinking, knowledge questions, methodology, natural sciences, reason, shared knowledge, statistics. Bookmark the permalink. Dombrowski, Rotenberg, Bick. 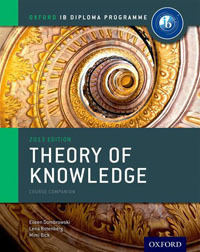 Theory of Knowledge IB Course Companion. Oxford University Press, 2013. Dombrowski, Rotenberg, Bick. TOK Spanish translation. Teoría del Conocimiento, Libro del Alumno. Oxford University Press, 2015. TOK Book Review: The Skeptics’ Guide to the Universe: How to Know What’s Really Real in a World Increasingly Full of Fake. Retraction of major research on eating: a failure in scientific methodology, or a corrective in the process? “Deepfakes” and TOK: more trouble ahead for critical thinking? “Stay cool. TOK teachers can handle this.” Astrology & belief. Want to download TOK resources? I’m getting myself organized. Sense perception: Yanny or Laurel? Biases, fallacies, argument: Would you argue with a T-rex? “2017, a good year”: Wasn’t it? Do Nobel prizes distort public understanding of scientific knowledge? That event in the past: what do we make it signify in the present? Consuming the news: Is knowing harder than dieting? Love, luck, literature, and logic: Who will win the lady? The question “How do we know?” drives inquiry. When we ask it with the stress on the last word – know — it opens up overview questions on the very nature of knowledge and the forms it takes. When we ask it with the stress on the first word – how? – it takes an analytical edge applied to methods of giving answers. In this blog, we follow this question — sometimes seriously, sometimes lightheartedly — through issues and stories of our day. Dombrowski, Rotenberg, Bick. Theory of Knowledge IB Course Companion. Oxford University Press 2013.